Email Marketing Strategy - Why Isn’t It Working? Find Out More. Email Marketing Strategy - Why Isn’t It Working? Find Out More. Many businesses feel that email marketing has lost its edge as an efficient way to win over customers and generate new business—but they would be wrong. While deliverability and readability of marketing emails have fallen and automated spam filters and Gmail’s Promotions Folder, it’s true that marketers face big challenges in reaching customers. That doesn’t mean that email marketing isn’t a good tactic, it just means that your email marketing strategy isn’t working. Let’s fix that. Email communication continues to be one of the most effective marketing tactics. Email can be used to find new business prospects, nurture leads, drive sales, and stay in touch with (and build loyalty with) your audience. Your email marketing strategy, however, just requires a little more fine-tuning than it did in the past. Many email campaigns fail due to marketers’ inability to create a robust campaign strategy, to develop content that can fuel their email strategies, a reliance on old or unclean data, or simply just because they’re relying on old email marketing tactics which simply aren’t enough in today’s environment. Here are some reasons why your email marketing strategy might be failing, and a few suggestions on how to fix that. One of the major constraints that marketers face when it comes to sending out email communications is not being able to identify their potential target audience. Before carrying out any email marketing operations, it’s essential to do some homework and find out what interests your specific audience. As well as clearly defining who your target customers are and what their needs, preferences, demographics, and psychographics might be, you should also use tools such as GetResponse to monitor how customers are interacting with your emails. Learning more about your recipients and making note of behaviors such as email opens, clicks, and unsubscribes will allow you to better understand your customers and hone in on the type of content and format which works best. If the recipient of your email communications perceives no value in them, they will never receive attention and end up deleted or in a spam folder. Sending emails to a mass audience is likely to deliver unsatisfactory results, which is why it’s crucial to segment your target market. The most successful campaigns which offer a high ROI are those which are aimed at a segmented, targeted audience. Once you’re delivering messages which personally appeal to your prospects and address their challenges and needs, you should see an increase in open rates, response rate, and ultimately a higher conversion rate on all your email marketing efforts. According to a Statista report on email marketing, emails with a personalized message had an 18.8 percent open rate versus 13.1 percent for emails with no personalization. If you’re still using a “one-size-fits-all” approach, the chances are you’re experiencing disappointing results. In order to stimulate the right triggers in customers’ minds and increase conversion rates, it’s important to divide your target market into different segments based on similarity of interests, values, and preferences. To personalize email messages, today’s successful marketers use segmentation and retargeting to gather information on customers and deliver needs-specific messages. For instance, if one of your customers has purchased a particular product in the past, they may be interested in hearing about a similar product you’re launching this month. There are plenty of tools available which harness the power of user behavior and buyer intent to deliver personalized advertising, which in this case you can deliver in the form of emails. ReTargeter and AdRoll are both considered great options. According to data from the Radicati Group, the average office worker sends or receives over 120 emails a day. It shouldn’t come as a surprise, then, that open rates for emails with cliched, sales-y, and/or unappealing subject lines are very low. With so many emails to sift through, customers tend to scroll through their inboxes to find items of interest. This is especially true now that mobile devices play a huge role in all email communications. Most individuals open an email based on the name of the sender and subject line, but if the latter is not catchy, vague, or misleading, it is sure to impact the success of your email campaign. Ideally, subject lines should be clear, intriguing, and attractive enough to catch the recipient’s attention. While inserting a customer’s first name has been shown to increase open rates in some cases, it’s still not enough to grab most customers’ attention. Take the time to craft an appealing subject line, for instance, through the use of humor and fun ideas, or research ideas that will meet your customers’ demands and include them here. Note that excess use of punctuation marks, misleading phrases, and all caps subject lines are just as likely to hinder your email communications as unappealing ones are. A common email marketing strategy misstep relates to design. The look and feel of your emails can have a large impact on open rates. If you feel your target customers are lacking the motivation to read your emails, it might be time to consider a change in design. It’s best to have an arsenal of attractive email templates which appeal to your target audience. The use of logos, colors, call-to-action buttons, and pictures is all well and good, but you must ensure they’re all well synchronized. Don’t be afraid to experiment with the design until you find just the right way to create a visually appealing display. Remember, both the body of the email and its subject line should clearly convey the intended message in an easy-to-read format. You could try testing different email templates on a small group of loyal users, monitor the response, and make any necessary tweaks to the design, subject line, or content. As the number of emails opened on mobile devices continues to rise, it’s also more important than ever to optimize your messages for better readability on cell phones and tablets. Databases deteriorate over time, and that only makes sense. People change jobs, retire, move into different positions, companies are acquired, things change. On average, 10 percent of data deteriorates on a monthly basis. That means if you’re not doing things to regularly test your existing database as well as grow that database with fresh, new customer data, it is going to be exponentially less effective for you over time. You’ve got to be cleaning your data, removing bounced emails, and figuring out a way to get the folks who’ve gotten your email but who haven’t clicked to click and open it. Low click-through-rates are a signal to ISPs that your email is uninteresting, or perhaps even spam, so keeping that data as clean and up-to-date as possible is critically important. A marketing automation platform will help you manage your data and email marketing campaigns, so that might be well worth exploring. There are well-known marketing automation brands like Infusionsoft, Marketo, and Campaign Monitor, and then there are marketing agencies (like V3B), who can bring a turnkey marketing automation platform to the table as part of the customer relationship, and completely manage your marketing automation and email marketing efforts. Marketers often make the mistake of using ambiguous sender IDs such as admin@yourcompany.com, info@yourcompany.com, etc… Almost half of all emails are deleted if the sender is unknown as they don’t appear genuine and are often marked as spam. It’s much better practice to use a real person’s name and email address, as it conveys the sender as more authentic and trustworthy. A simple change like this should see a positive impact on message deliverability and readability rates, ultimately leading to an increased ROI. The key to a successful email marketing campaign is delivering the right type of content, to the right audience, at the right time. And the best way to do this? Pay attention to every campaign you run, monitor its results, and gain a deep understanding of what works best. Then, do more of that. If you’re not monitoring metrics such as email opens, click-through rates, and conversions, you’re only getting things part-way right. Keeping your finger on the data available to you at all times and closely monitoring the results of your email campaigns takes the guesswork out of your email marketing efforts. The data will show you (and your customers will show you) what works and what doesn’t. Watch your data and you’ll get all kinds of valuable insights, like the best time of day to send your messages, days of the week that generate the most engagement, as well as the subject lines and content/messaging that seemed to resonate most with your customers and prospects. All of this is how you evaluate the efficacy of your email marketing efforts and continually tweak and fine-tune your campaigns to help get the best ROI possible from your email marketing efforts. Again, there are plenty of tools which make testing campaigns a breeze. Optimizely and VWO are both good examples and will give you access to the data you need to be more successful with your next campaigns, and marketing automation platforms like OpenMoves and Makesbridge will also provide great data as to the effectiveness of your campaigns. Building an effective email marketing strategy requires careful planning and execution. On general, we collectively receive over 100 emails a day, and it’s easy for your message to get lost in the inbox. If you look at everything you’re doing from an email marketing strategy from a customer-first, customer-centric viewpoint and design and develop email marketing messages that put their needs front and center, chances are good your email marketing strategy will be a successful one. Simply sending generic email blasts to your entire database does not an email marketing strategy make, so if that’s what you’re doing, it’s time to learn more, fine-tune your efforts, and make sure that what you’re doing with your email marketing will deliver not only value to your customers and prospects, but results for you and your company. Unquestionably, email marketing is more complex and more difficult than ever before. 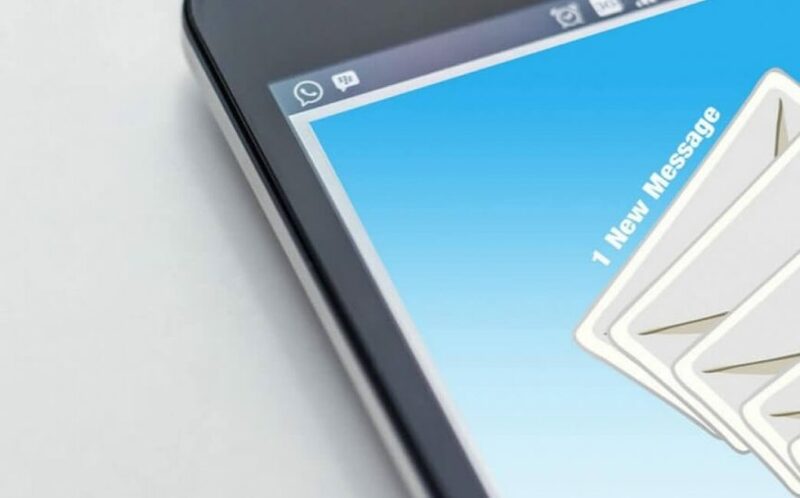 Marketers face big challenges in reaching customers due to advanced spam filters and Promotions Folders, but email marketing remains an important part of an integrated marketing strategy. Audience segmentation, personalization, creating appealing subject lines, and maintaining an up-to-date database are all ways of increasing conversion rates and delivering successful results. Finally, try not to abuse the email address a customer has provided by bombarding them with blatant marketing messages several times a week. This is likely to increase your unsubscribe rates and lead recipients to ignore your emails. Instead, focus on sending useful information such as information on industry trends, tips and tricks, coupons and special offers to keep your recipients interested.